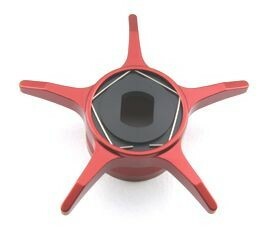 Your bait casters would be more exotic with colored components! There are more products at Avail web http://www.avail.jp/index.html and please let me know by Email if you want any products on the web. 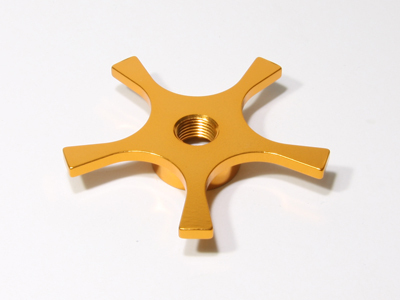 JapanTackle is legitimate dealer of Avail tuning products. 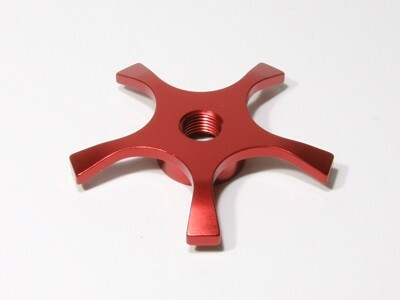 Super light weight Zaion-engineering plastic star drag. 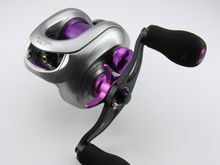 Fits to Daiwa with star drag clicking, non-thread inside. Screw Less model. You may fit sway back handles with this star drag. Zaion. 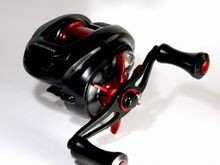 Daiwa 18Ryoga, Steez SV, Steez A, Zillion SV1016, Tatula SV, Tatula 100/103, Tatula HLC, Tatula CT Type-R, Fuego CT, HRF PE Special, Honga 4.9/7.3, Ryoga Bay Jigging C1012/C2025, Millionaire Basara. 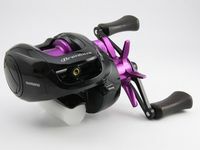 Fits to Daiwa with star drag clicking, thread inside. TD-Z, X, TD-ito, Zillion J D, 06Steez, Steez Ltd 105SV, T3, T3 MX, T3 Ballistic, SS and etc. 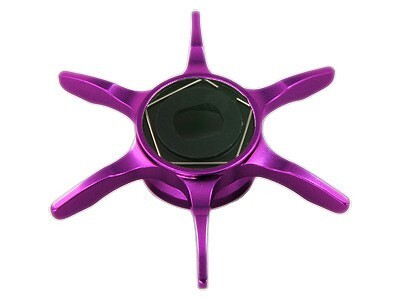 You may fit sway back handles with this star drag. Not fitting to: Ryoga, Pluton, Millionaire, Tatula, Steez Ltd SV TN, Steez SV, Steez A, Z 2020, T3 Air, Fuego CT, Shrapnel, Morethan PE SV, Honga, Saltiga, Catalina. 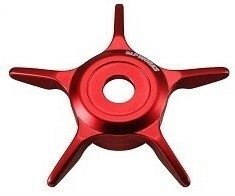 Fits to Daiwa with star drag clicking, non-thread inside. Screw Less model. You may fit sway back handles with this star drag. Aluminum. 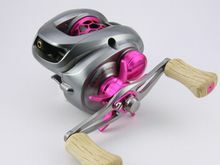 Daiwa 18Ryoga, Steez SV, Steez A, Zillion SV1016, Tatula SV, Tatula 100/103, Tatula HLC, Tatula CT Type-R, Fuego CT, HRF PE Special, Honga 4.9/7.3, Ryoga Bay Jigging C1012/C2025, Millionaire Basara. 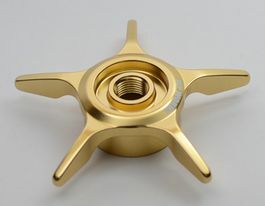 Fits to Daiwa with star drag clicking, thread inside. TD-Z, X, TD-ito, Zillion J D, 06Steez, Steez Ltd, T3, T3 MX, T3 Ballistic, SS, Zillion TW 1516, Morethan PE SV, Catalina Bay Jigging and etc. You may fit sway back handles with this star drag. Not fitting to: Ryoga, Pluton, Millionaire, Tatula, Steez SV, Steez A, Z 2020, T3 Air, Fuego CT, Shrapnel, Honga, Saltiga, Zillion TW HLC, Zillion SV. R for right hand, L for left hand, Silver with black accent Fits to Daiwa without drag clicking. Alphas series, Sol and etc. 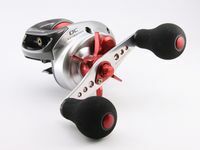 R for right hand, L for left hand, Silver with red accent Fits to Daiwa without drag clicking. Alphas series, Sol and etc. 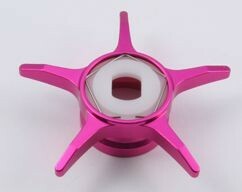 Jun's: Your reel will look something different with colored drag. Fitting: Shimano 15 Aldebaran, 16 Aldebaran BFS, 18 Aldebaran MGL. 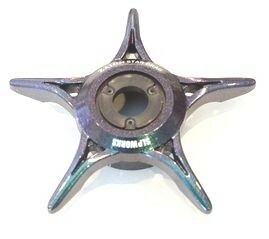 Avail Sway back star drag SD-MT07 for Shimano 00 Conquest, 07 Metanium MG and etc. 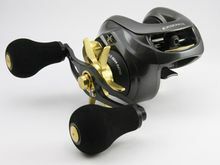 Fitting: Shimano 00 Conquest100/200, 07 Metanium MG, 07 Core 50MG, 08 Metanium MGDC, *09Scorpion1500XT/Curado 200E, *10ScorpionXT1000/Curado, *09 Scorpion DC, *14 Brenious. Red, Purple, Sky Blue, Champaign Gold. For models with *, please purchase Avail MT07 Spring listed below. 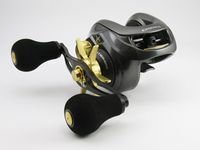 Fitting: Shimano 2012 and 2015 Aldebaran BFS XG bait casters only. Black, Gunmetal, Red, Purple, Blue, Sky Blue, Gold, Pink. Not for 2016 Aldebaran BFS XG. 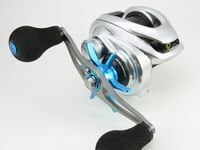 Fitting: Shimano 12 Exsence DC, Bass One XT. Fits to ABU 1500IAR-2500IAR, 4500-6600 IAR, Morrun SX-High speed, SX MAG. 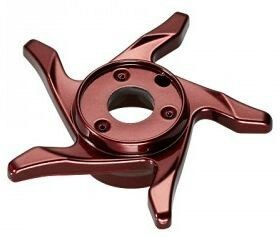 Require more than 4mm gap between the top of casting control cap or chrome part on the side plate and the bottom of stock straight star. Not fit to old Ambassadeur because of the lacking of the gap mentioned above. 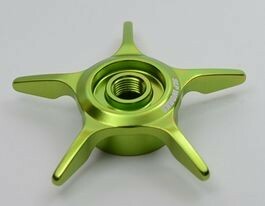 For those reel please purchase straight star drag. 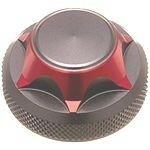 Fits to ABU 1500-6600C, Morrun SX-High speed, SX MAG. Star arms are straight. Longer than original star of 1500-6500 regular models. 50mm dia. Fitting : Shimano Chronarch Ci4+, Scorpion 200, Curado 200i. 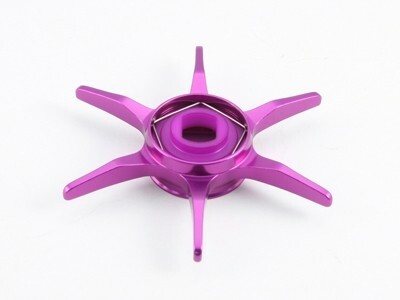 You may fit both left/right twist star to either left/right hand reels. Knob caps for Shimano genuine knobs. 2 caps comes per order Fits to Shimano cepton knobs. 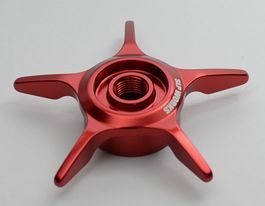 Fits to Daiwa bait casting reels with clicking mechanical knobs. 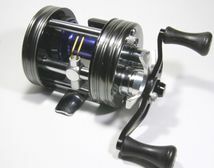 Daiwa T3, 06Steez, 12Steez Ltd, SS Air, 06Zillion, TD-Z, TD-X. 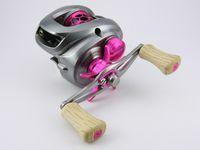 Not fitting to reels sold after 2013. 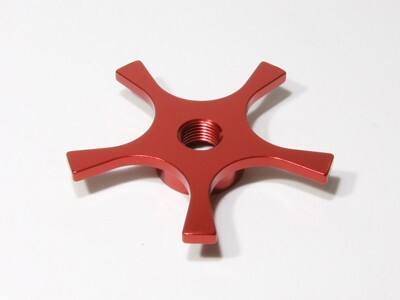 7mm shaft, 10mm hex for Shimano 50-200 Black, Gunmetal, Light Chrome, Navy, Blue, Skyblue, Purple, Red, Pink, Orange, Gold, Ch Gold, Brown, Green. Champaign Gold matches perfect to Shimano Calcutta reels. Right thread for right hand reel, Left thread for left hand. 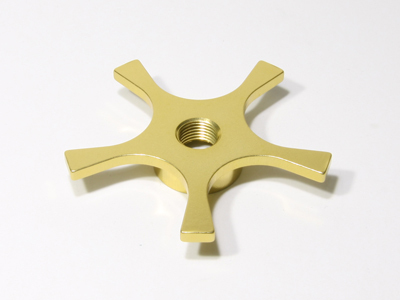 8mm shaft, 10mm hex hooded nut for ABU/Daiwa reels for handle Black, Gunmetal, Light Chrome, Navy, Blue, Skyblue, Purple, Red, Pink, Orange, Gold, Ch Gold, Brown, Green. 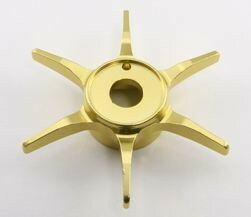 Champaign Gold matches perfect to Shimano Calcutta reels. Right thread for right hand reel, Left thread for left hand. 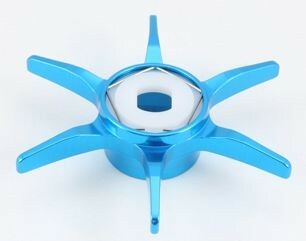 This is the spring to fit Avail star to Shimano reels.